Well,although we bring together free font collections time to time we decided to share a free font everyday and today’s free font Salmela is designed by Pixel Surplus. 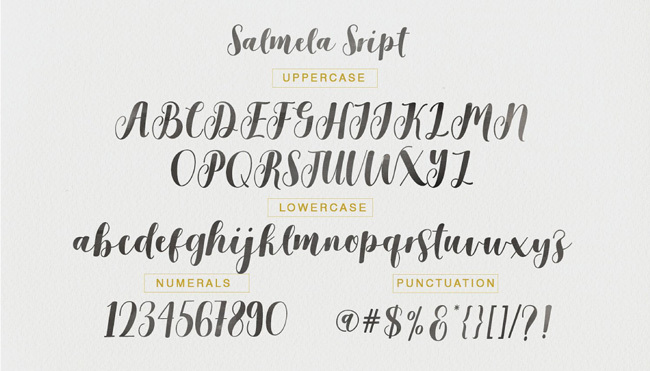 A beautiful hand lettering calligraphy typeface. This flowing script is perfect for creating wedding invitations, signatures, letterheads, logos, T-shirts, and everything in between.